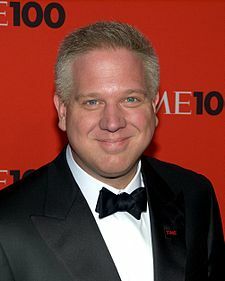 Am I the only person on earth who didn’t know Glen Beck was a recovering alcoholic? That makes it even more interesting to me when people refer to him as the new Rush Limbaugh, as Mr. Limbaugh is in recovery for abusing… I forget what, pills, maybe? And ‘live or die,’ huh? I guess Glen Beck saw the end of Karate Kid Part 2. It was a Wednesday afternoon in the middle of September, and Beck had just returned from a week’s vacation in the Grand Tetons followed by a quick hop to Anchorage, where he and Sarah Palin appeared at an event on Sept. 11.